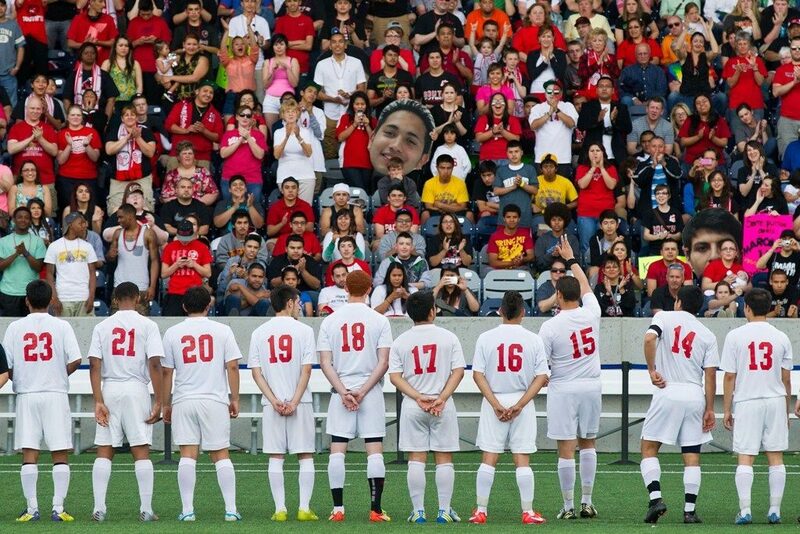 The Omaha South Boys Soccer team line up before the 2013 Class A Nebraska State Championship. Photo by Chris Machain of the Omaha World Herald. Cue the bearded hipsters waving scarves and singing ripped-off English soccer chants down Dodge St. on a mid-summer’s evening. Okay, maybe not quite, but the growing soccer fanbase in Omaha has reason to be excited about the future; bearded or not. Within the past 24 hours, Chris Peters of the Omaha World-Herald, reported that interest from investors to bring a USL team to Omaha has increased. Storm Chasers owner Gary Green and Kansas-based franchise development group, National Sports Services, have both announced they’ve begun the process to bring professional soccer to the region. Although both are at the very beginning stages, there is plenty of reason to believe the movement is gaining momentum quickly. According to the World-Herald, Green plans on gathering an investment group to create a USL team by 2019 as well as build its own soccer-specific stadium. Green recently tried to bring a Denver Nugget affiliate D-League team to Omaha but failed. Soccer could be the perfect route for Green and his ownership team. As for National Sports Services, the charge is led by native Ren Smith. Smith, recently involved with the Omaha Ak-Sar-Ben Knights hockey team and UFL’s Omaha Nighthawks, has lined up prospective investors and continues to work to build his ownership team. Through this route, National Sports Services would gather their investment team, make plans for a stadium and then file an official proposal to the USL. For Omaha, the more routes to getting a club the better; competition for ownership can only be a good thing. There are still many questions, as expected at the early stages of getting an expansion side, but these will have to be answered as soon as possible if any owners want to have a real chance at bringing pro soccer to Omaha. This would be awesome for Omaha!! Hope it happens. This would be great for Omaha as soccer has really gained popularity.